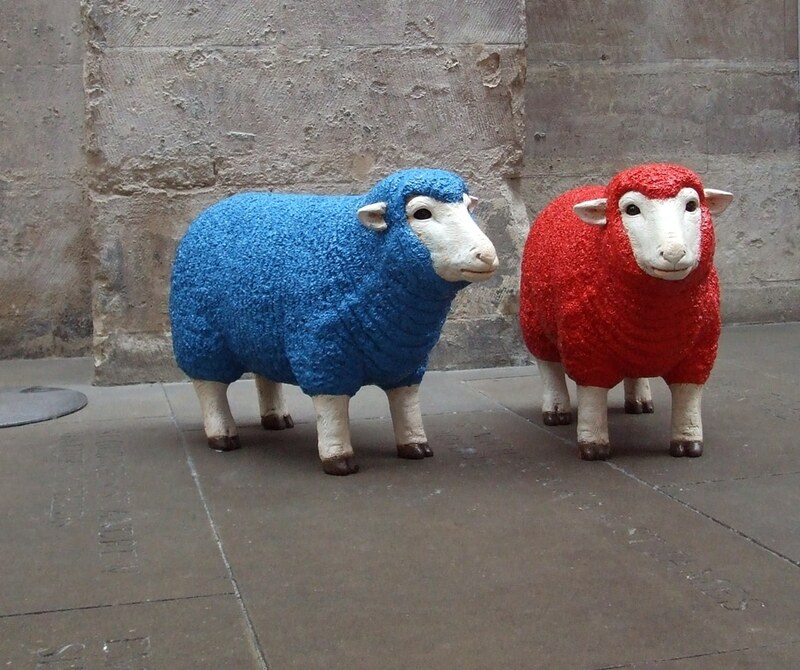 Lovers of wool are legging it around the capital to catch events, workshops and exhibitions allied to Campaign for Wool’s fifth annual UK Wool Week (6-12 October 2014). Knit-a-thon at Brora (and a Twitter auction to win the blanket outcome), meet the Maker opportunities, and a Tweed Tea Party are just a few of the events. 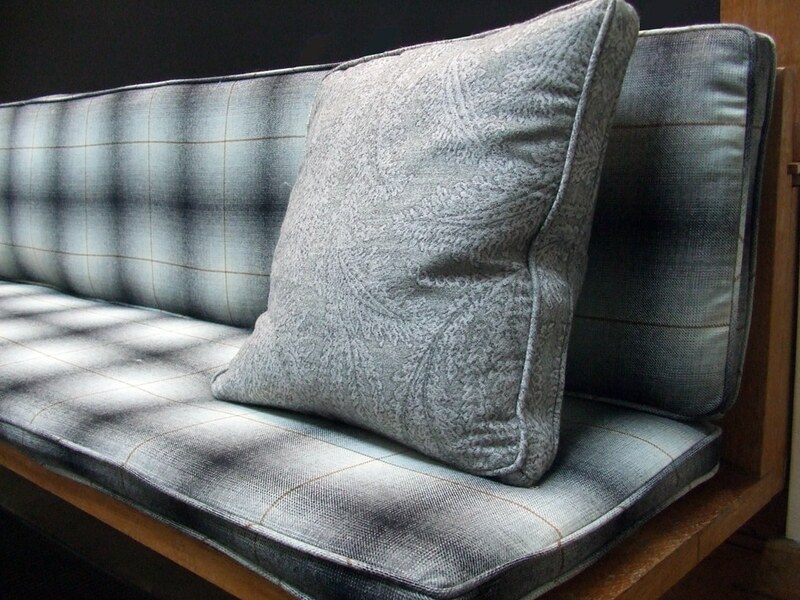 COVER presents highlights below from the Campaign’s Wool Collection: Interiors exhibition at Southwark Cathedral, a stone’s throw from the Thames and from foodie haven Borough Market, where you can find sheep cheese if you fancy. More than fifty objects ranging from rugs, pillows, sofas, to a satchel, blankets, and a wool “den” are in the free exhibition. Usefully, the accompanying brochure lists retail prices. The only thing missing perhaps is a representative of wool bedding (pillows and duvets) made by companies such as Baavet. 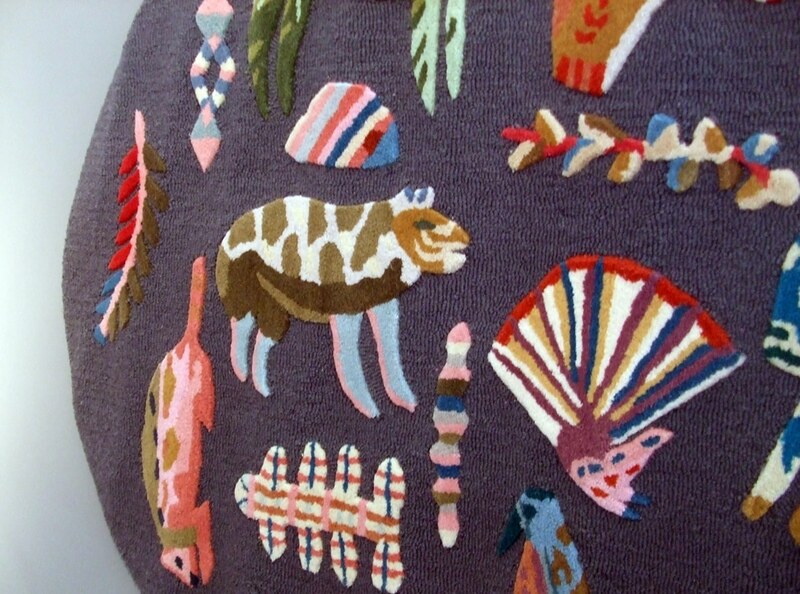 Detail of oval wool Zoology rug by Rose de Borman for Anthropologie – seemingly a contemporary interpretation of mid-19th century pieced and appliqued coverlets featuring figures and animals as seen in the collections of the Victoria & Albert Museum. 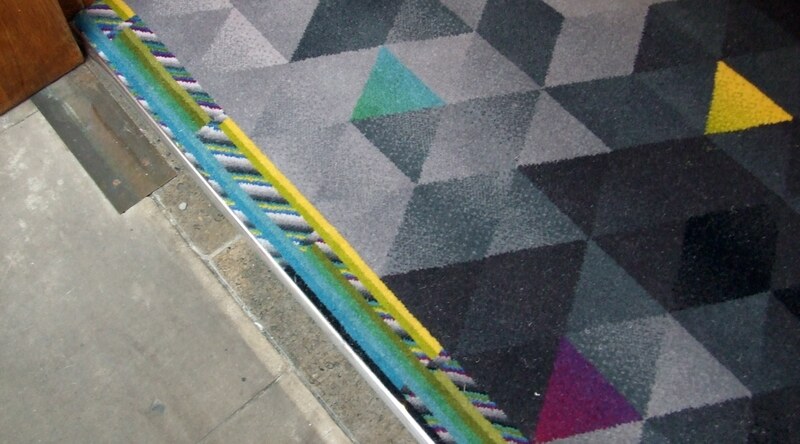 A detail of Brintons‘ HD weave carpet from their Skulduggery Collection is offset against the smooth stone floor of the Cathedral. 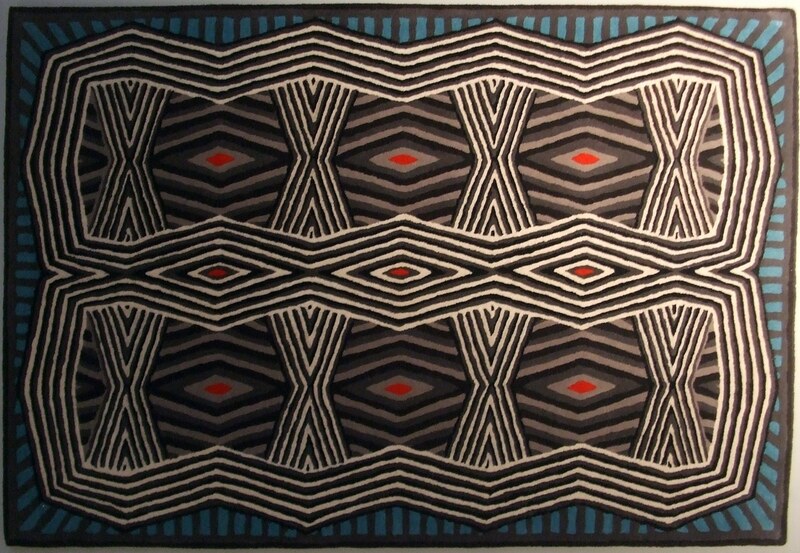 The trend for Welsh tapestry and Scottish Fair Isle designs remains strong (although does anyone do Welsh Tapestry fabrics better than the pioneer Melin Tregwynt? No.) 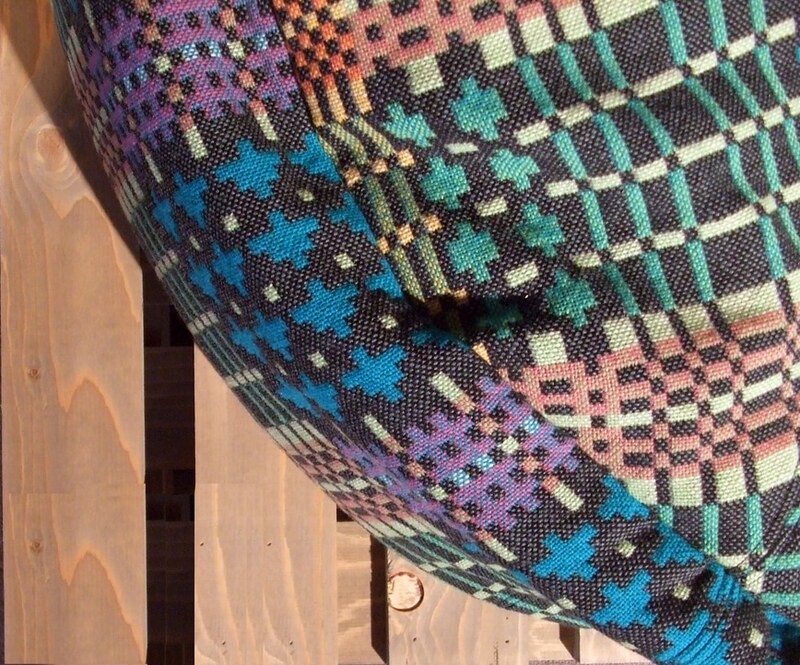 Below is a detail of This Way That beanbag by Donna Wilson for SCP. 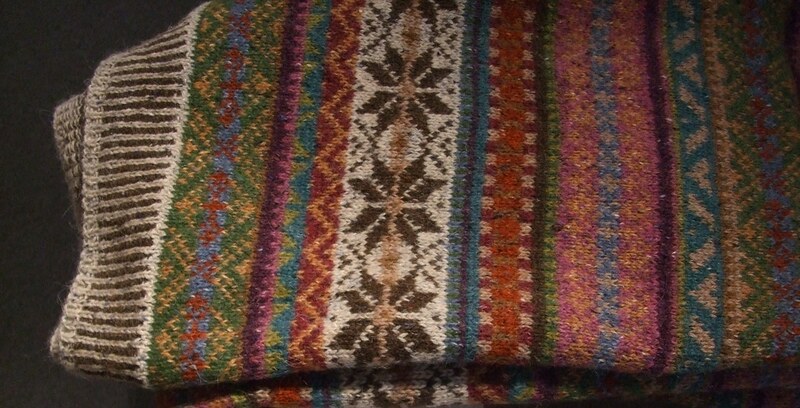 Marie Wallin‘s wool throw made with Rowan yarn in a pattern reminiscent of Fair Isle. 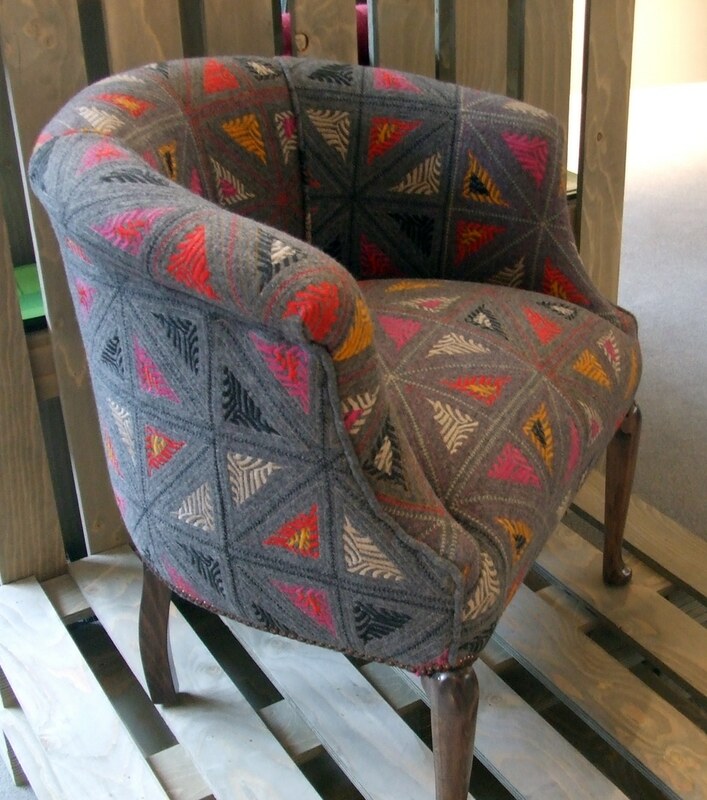 Wool Folklore fabric by Kit Kemp for Christopher Farr Cloth on a chair from one of Kemp’s Firmdale Hotels. Ingmar side chair with wool fleece and linen by Jonathan Adler. While it’s not quite the “louche” lounge chair as described on Adler’s site (it’s a bit too austere for louche), it is indeed quietly “luxurious”. 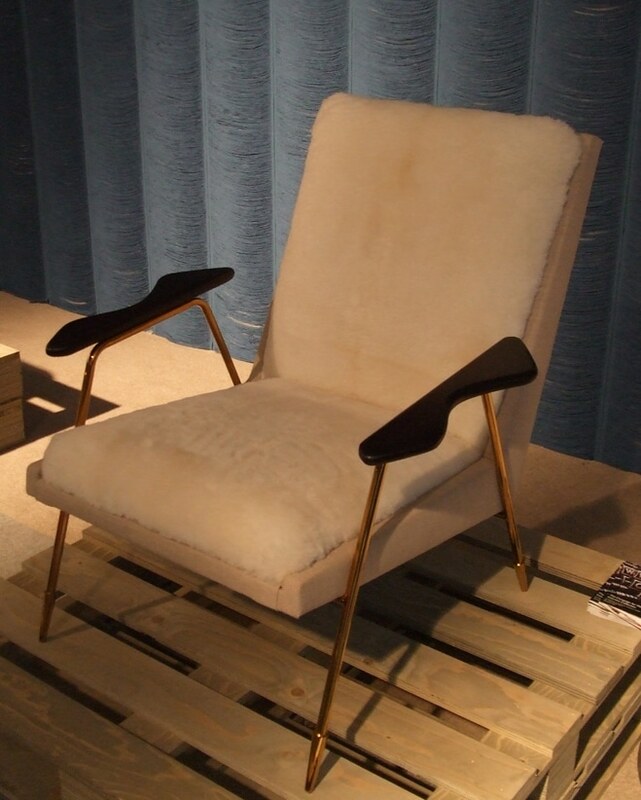 Adler’s chair sits in front of 3D wool drape wallpaper (wool fringe sewn onto non-woven wallpaper) by Tracy Kendall. Whether the fusty festoon curtain motif is due for a contemporary interpretation is open to debate. Fitzgerald tattersall fabric by Osborne and Little upholsters the seat and back cushions of a banquette, and Sinclair fabric by Colefax and Fowler covers the cushion.